Just a decade ago, coffee was not often praised for its health benefits. Instead, you would have heard many warnings about drinking coffee regularly being bad for your health, that it would cause hypertension, or that you won’t be able to sleep well, and so on. 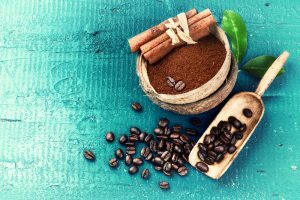 Since coffee is often the subject of many studies about dietary components, scientists were finally able to find several benefits from regular moderate intake of this aromatic brew. For instance, coffee is related to lower risks of Parkinson’s and type 2 diabetes. Recent studies also suggest that regular coffee drinkers may actually have longer lifespans, especially now that cancer risks associated with coffee have been downgraded. Also, in the past, many people thought that one could develop cardiovascular diseases because of too much coffee. However, recent studies show that drinking an average of three cups daily may actually lower the risks of developing heart conditions or dying because of heart problems. If you’re someone who can’t seem to wake up unless you’ve had a cup or two of coffee in your system, take a look at these healthy coffee add-ons that can spice up your regular morning brew. Some people don’t like to jazz up their brews. They’re happy with just the regular heady aroma and bitter taste of coffee. Mixing a tablespoon of these common coffee add-ons won’t hurt a lot but may instead give you added health benefits. Adding just one tablespoon of whole milk to your regular brew will give you a lot of vitamins and minerals already. You can get 17 mg of calcium, 2 mg of magnesium, 13 mg of phosphorus, 6 mg of zinc, and 20 mg of potassium. Plus, you will also get 24 IU of Vitamin A and 8 IU of Vitamin D. Vitamin B, thiamine, riboflavin, and niacin are also present in milk. 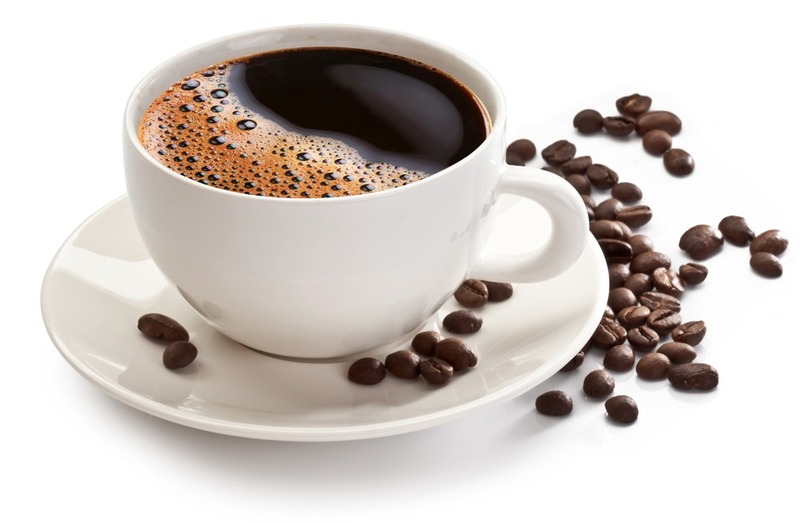 You can make your own healthy mocha brew by adding unsweetened cocoa powder to your coffee. You can also get minerals and monounsaturated fats from cocoa powder, not to mention that cocoa powder can help improve your cognitive performance and lower your blood pressure. These natural spices will not only enrich the taste of your favorite brew, they will also give you added nutrients you normally won’t get just with a cup of coffee alone. Adding one teaspoonful of cinnamon in your coffee won’t raise your calorie count so much but it will increase your calcium and potassium intake. You’ll also get a bit of iron, magnesium, phosphorus, 8 IU of Vitamin A, as well as other vitamins and nutrients. Moreover, you’ll also get an extra boost of antioxidants to keep you healthy. Same with cinnamon, adding one teaspoonful of this flavorful spice won’t do anything to your calorie count but will give you so many minerals and even a bit of healthy monounsaturated fats and protein. Two grams of cardamom can give you 22 mg of potassium and 8 mg of iron. Plus, you can get added protection from stomach and intestinal issues. Add a teaspoonful of ground ginger root in your coffee, and you will get not just a zesty morning upper but you’ll also get a lot of vitamins, minerals, amino acids, and many other important nutrients. The many health benefits of ginger have long been established. And you may have already heard of ginger tea – it’s delicious and it works wonders if you have a sore throat. You can imagine the same kind of health benefits when you add ginger to your coffee. Whenever you feel like you need a boost of potassium, you can simply mix a teaspoonful of turmeric in your morning coffee and that will give you an instant extra 62 mg of potassium. Turmeric will also give you many other vitamins, minerals, and lipids (with very minimal trans-fat). Turmeric is actually getting more and more popular nowadays, making everything golden – golden tea, golden coffee, and so on. But that’s because it’s just healthy all around. One might think that mixing herbs and coffee is like drinking a mixture of coffee and tea with an unrecognizable flavor. Well, the taste doesn’t have to be unfamiliar or downright weird. There are herbs with high medicinal values with flavors that actually go well with the taste of coffee. In fact, there are many herbal coffee products available now, so you can just mix it directly with your coffee. You can also add plant extracts for added flavor or for a dose of added healthiness. Medicinal mushrooms are full of antioxidants, beta-glucans, plus dietary fiber. Examples of medicinal mushrooms that you can buy in powder form and mix with your coffee are turkey tail, chaga, and reishi. You can put a drop of vanilla extract to your coffee to spice up the taste and aroma of your morning brew. Or you can mix a single vanilla bean along with your coffee grounds. 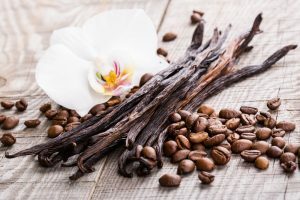 This way, you get the most out of vanilla’s distinctive aroma and flavor. We’ve seen the rise of coffee crazes these recent years. Bulletproof coffee is one and coconut oil coffee is another. Unfortunately, the jury is still out on these two popular coffee add-ons. As of this writing, it appears that no scientific paper has been published yet with regard to the nutritional properties and effects of Bulletproof coffee and coconut oil coffee, as well as the health risks, if there are any. Advocates of Bulletproof coffee and coconut oil coffee claim that these brews will help you manage your cholesterol levels and your weight, both of which should have plenty of spillover effects on your overall health. Those who don’t believe in the promise of Bulletproof coffee, however, say that you’re basically replacing one of your meals with a drink that may be high-energy but has low nutritional value. Well, while waiting for the experts to determine whether these brews are safe or not, healthful or harmful, just continue enjoying your regular brew. But maybe with a dash of cinnamon this time.